Comic Relief was launched on Christmas Day in 1985, live on BBC One. At that time, a devastating famine was crippling Ethiopia and something had to be done. That something was Comic Relief. The idea was simple – Comic Relief would make the public laugh while they raised money to help people in desperate need. Before too long, Red Nose Day was created and the first ever event in 1988 raised a staggering £15m. To date, twelve Red Nose Days have raised more than £580m. That money has helped, and is helping, to support people and communities in dire need both in the UK and Africa. 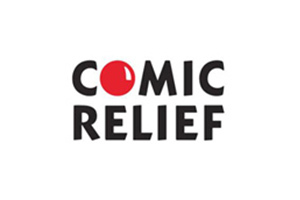 Eckoh has been supporting Comic Relief appeals since 2010. During Sport Relief and Red Nose Day campaigns, the charity needs an automated service to compliment their live contact centres. They also need to ensure that the donations were taken securely and complied with the Payment Card Industry Data Security Standards. Eckoh provides Sport Relief's main donation line, promoted during the Sport Relief Weekend. Eckoh's scalable call handling platform and sophisticated technology is used to ensure a robust network is available for the automated donation processing. The service is based in particular on two of Eckoh's core products: EckohDONATE (real time card payment processing) and EckohADDRESS (automated name and address capture). Eckoh also provides the year-round donation line for Comic Relief. The fundraising kit request line also allows callers to request a fundraising pack, which comprises of ideas, posters and sponsorship forms. The service uses Eckoh's speech recognition technology to capture name and address, and data is transferred daily to Comic Relief for fulfilment. In addition, EckohADDRESS is used to capture the name and address of callers for Gift Aid declaration: transcribed data is transferred daily to Comic Relief to allow them to reclaim the basic rate tax on the donation, which increases its value. Radha Chakraborty, Operations Director of Comic Relief, said: "Comic Relief relies hugely on the invaluable support it gets from its partners. Once again, Eckoh has delivered a solution that ensured the smooth processing of donations with its scalable call handling platform, whilst reducing our operational costs through the implementation of automated speech recognition technology." Comic Relief relies hugely on the invaluable support it gets from its partners. Once again, Eckoh has delivered a solution that ensured the smooth processing of donations with its scalable call handling platform, whilst reducing our operational costs through the implementation of automated speech recognition technology.